Ahhhh, 2019, here we go! Over the last few years I’ve been setting goals in a different way using Cultivate What Matters PowerSheets. I’ve touched on them in recent gift guides and more extensively over the last year on Instastories. Between Christmas and New Year’s I worked through my PowerSheets for 2019, and today I want to share what I’ll be focusing on! Before we get there, I want to highlight two words I used above: focus and cultivate. Thanks to PowerSheets, I no longer approach goals as long to-do lists that result in guilt for not having accomplished all of them. I instead treat annual goals more as areas to focus on and cultivate for that year. PowerSheets have helped me value progress over perfection, celebrating steps big or small in the direction I want to head rather than being discouraged that I didn’t hit something 100%. They’ve helped me be intentional about areas of my life I want to cultivate and have helped me see how every little step in the right direction adds up! Yes, I’ve got smaller, more concrete goals to help me make progress, but overall I’m looking at the big picture. How I get there with my smaller concrete goals may change, but with the big picture in mind, I keep cultivating important things little by little. Also, working with focus areas helps relieve some of the guilt I feel for not doing all the things all the time. Some of you have asked how I do everything or how I balance everything. My answer? I don’t. I don’t! At least not all in the same season. I see life in seasons. Some seasons are longer or shorter than others, and in every season of life I focus on different things. In some seasons I’m able to pour into work and family but invest less in things like health or the state of our house. In other seasons I focus on family or health, but maybe say no to a lot more work opportunities. There are always a million things we could be doing, which means there’s always a million opportunities to feel guilty for not doing something. Determining which areas I want to cultivate each season gives me clarity on priorities for that period of time. That helps silence the guilt for all the things I’m not doing and live under grace knowing that every season has an ending, and I can focus on other things in another season. The framework of cultivating what matters helps me think long-term about whatever I do. We cannot do everything all the time. But we CAN invest in different areas of our lives at different times, bit by bit, which over the long haul adds up to lasting impact. Anyway, bit of a tangent there! But as I share about 2019 I also want to help shape it for you so that you can live free of guilt and instead celebrate progress! Okay, okay–let’s look ahead at 2019! 1. Scripture-filled and Spirit-led life. Ever since Ella was born, my rhythm for growing spiritually was thrown off. Now that she’s older and we’ve settled into steady routines with her, I’m ready to cultivate this again. Some of my concrete plans: reorient my weekly schedule to block out spaces to study scripture, pray, and connect with God more deeply. 2. Show up well for my family. In Rachel and Dave Hollis’ podcast, they often talk about “showing up” in life, and I’ve really liked that phrase. There’s an aspect of “showing up” that is simply being present–like physically showing up. But there’s also a qualitative aspect of HOW you are showing up physically, emotionally, mentally, and spiritually. Like, am I physically present with my kids yet hammering out work when it’s supposed to be family time? Or am I actually engaged with my kids when I’m with them? Specifically, I want to take on some additional household responsibilities, continue weekly dates with Benson, and laugh with the kids each day. Concretely: I have blocked out times weekly for household/family tasks, lessened how much work I take on to pick my kids up a little earlier from daycare, and have committed to laughing with the kids each day which is a sign that I am being present to them. Benson and I have had standing weekly dates for years and will continue that. 4. Gain muscle and be strong! I’ve shared that I trimmed down a lot thanks to FASTer Way to Fat Loss, but I want to become stronger. For me, health is really about how energized I feel and less about how I look. In my 20s it would have been basically all about how I looked😂, but the older I get (will be 36 in a few months!) health has become waaaay less about looks and way, way more about how being healthy affects my quality of life. I envision turning 40, then 50, then 60 years old and wanting to be full of energy and have a strong body that is capable of participating in life well. So concretely for this goal: Workout 3-4x/wk with the FASTer Way exercises and hit my macros the majority of every week. Simple! These are my major areas of focus for 2019 for my personal life. This doesn’t mean I won’t do other things like hang out with friends, be financially responsible and give generously, or do self-development things like listen to podcasts, etc. These are just the areas I’m prioritizing to develop further this season. Here on the blog, there are a lot of different projects I want to do. However, I won’t list them all because I’m positive I won’t even get to 25% of them of them and I don’t want to get your hopes up or set expectations or be too locked into anything. Haha! I can talk big picture focuses though! 1. Cultivate PMT team dynamics. In my 2018 recap I shared about adding a new team member, and with that comes adjusting to a larger team. It calls for increased communication, better structures, and more planning. I anticipate spending a lot of energy in 2019 figuring out how to best lead this new team. 2. 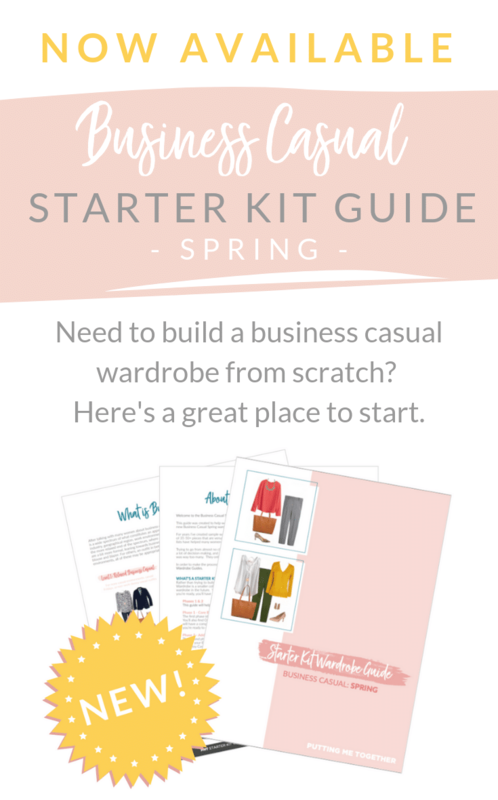 Create more Starter Kit Guides and other style guides. 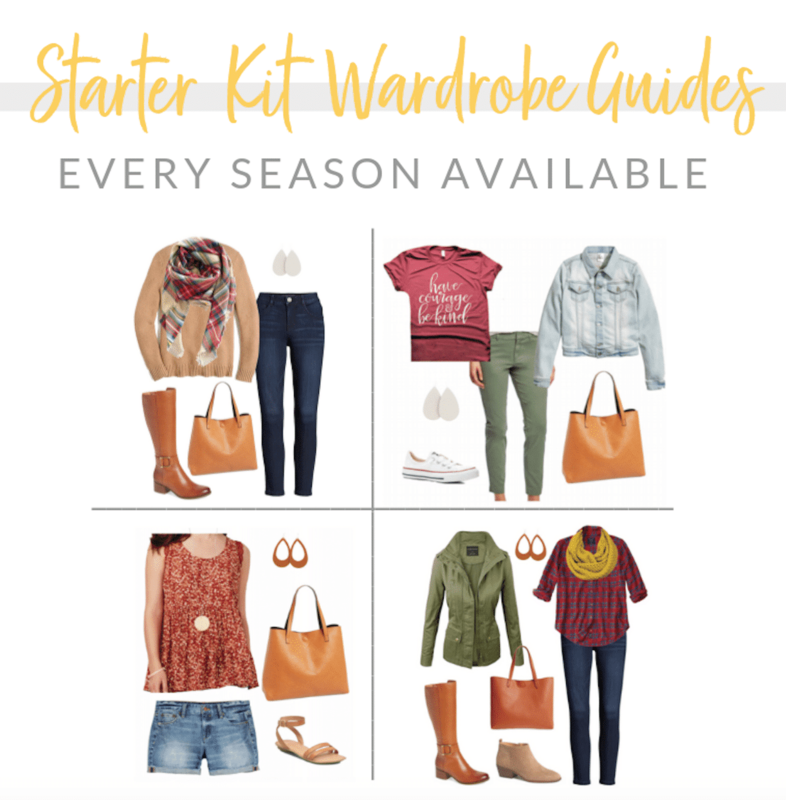 No matter what I write on the blog, how many series on building wardrobes I have, no matter how capsule wardrobes I post or outfits I show, these types of guides have been the most helpful in helping you developing a wardrobe and style you love. I get it–they’re the most hands-on! 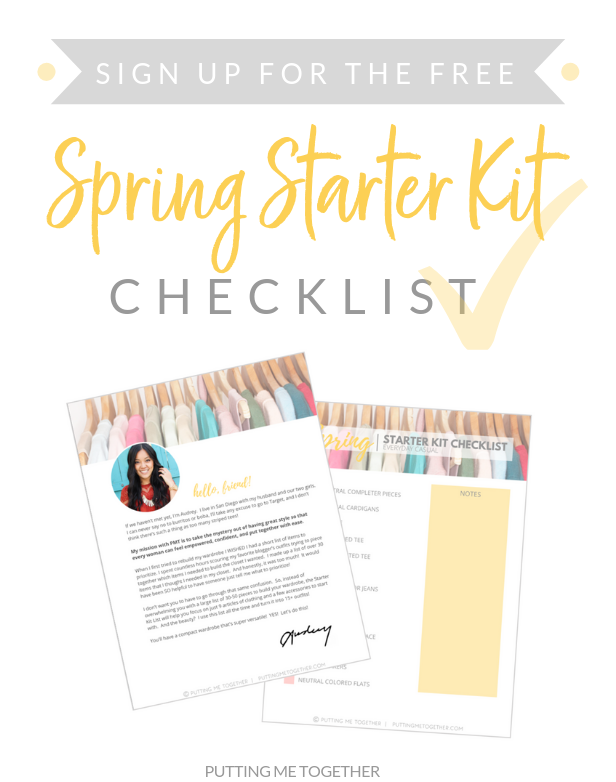 They allow me to consolidate a lot of info into a fully packaged guide and lay things out step-by-step for you instead of you having to sift through 7 years of blog posts to piece together the info you need. The plan for 2019 is to create more of these, like Business Casual versions of Starter Kit Wardrobe Guides in addition to other resources on building a remixable wardrobe. This doesn’t mean I won’t be blogging–I was both blogging regularly and creating style guides. And now that we have Heather on board, my inbox isn’t taking hours of my time, so the hope is for me to put energy into guides instead of my inbox. I’m excited for this! 3. Focus on longer-term projects. There are so, so, so many things I could spend my time on as it relates to PMT, but some are longer term while others are more in-the-moment. An example of the latter is something like posting about an item that went on sale on social media. An example of the former is creating style guides or writing style how-to posts. Some of those style how-to posts take WAY longer than a remix post, but I know that they are some of the most helpful types of post for you. Doing more of them will require me to say no to things, like not take on an extra sponsored post, not posting about a sale, or not posting as many of my daily outfits on social media. To be open with you, saying no to things will probably mean a decrease in earning overall which is a little bit scary when I’ve just added another employee! During the holidays last month and already this year I turned down a handful of sponsored posts to make room for planning longer term projects. It’s hard to turn them down, but I really want to make room for things I’ve been itching to write about or resources I’ve wanted to create. I’m planning to say no to some things to say yes to others! 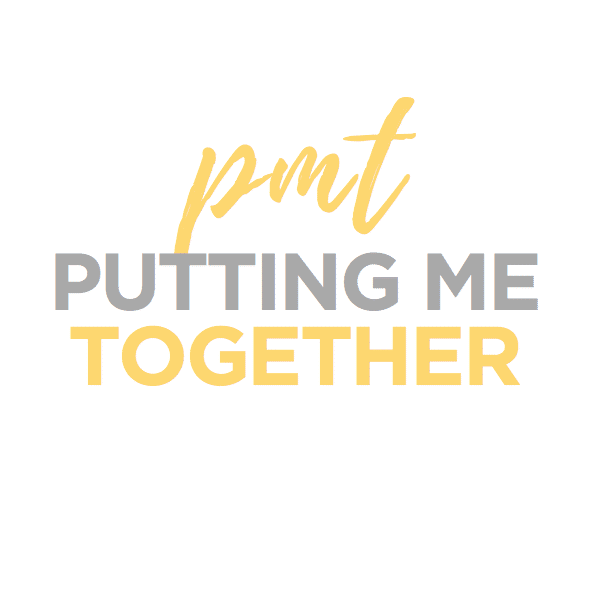 How can PMT help you in 2019? 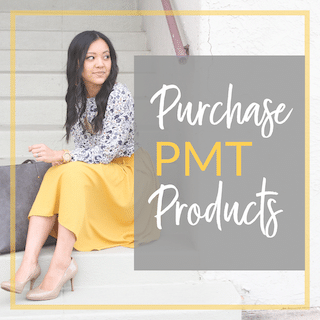 How PMT has helped you thus far? Which posts or style tips, style guides (like Starter Kit Guides or PMT Challenges), topics I’ve written about, or resources I’ve created have been the most helpful for you? What are your top 1-2 questions or needs? What question do you really wish I’d write about, or what resource do you super super super wish I’d create (like Business Casual Starter Kits or fuller Business Casual capsules/challenges)? BTW, I’ll be out the next week or two! On the note of me saying no to some things to plan for long term projects, that is exactly what I’ll be doing the next 1-2 weeks. I’ve gotta finish the Winter Starter Kit Guide and plan the year with my team! I don’t plan to post here on the blog for a bit, but Katie will still post a bit on Facebook and Instagram, so catch us there! P.S. The Winter 2019 Challenge starts on MONDAY! Register and join us HERE! I can’t wait for your winter casual starter kit guide! My Christmas money is being held until you post the guide. Can’t wait to get started! Any idea when it will be available? I’d love a guide/challenge for a mixable summer wardrobe that is business casual (no shorts or tank tops in the office). Audrey, I’d love some ideas and tips on different ways to style a dress across seasons. Say a chambray, or LBD. Maybe some casual, office, and dressy options for the same dress. Thanks! Thank you, Jennifer! Noted. The body shapes questions come up often. Those are the kinds of posts that take 100x more work to do that I’d love to make room for. Your one piece, many ways are my favorite! I would love to see more of those for every day outfits! Love your blog and your guides so much! Thanks, Lacey!! I’ve got TONS of One Piece Many Ways posts and in my mind they are all everyday outfits, so can you explain to me what you mean? Yes! Just would love to see more like the ones you already have.. maybe some more dresses.. I have the hardest time styling them! I would love to see how your organize your clothes/closet!! Thanks for all the great insight. Hi Audrey, all the best meeting your goals in 2019. A lot of your personal goals are similar to what I want this yr – get fitter, be more present for family and build better relationships with some that have gotten neglected over the years. I would love to see more posts on 1 piece many ways – accordian skirt, chambray dress, jumpsuit. Also maybe something on colour combinations? Thanks, Aditi! Chambray dress is in this winter’s challenge remixed several ways! Good luck this year with your goals! Hi Audrey, I love when you feature specific body types- like petite shapes and what works best for them. I also like the Putting Her Together posts when you help create a wardrobe for someone from scratch and then show all the outfits in detail. Thanks for all the great wardrobe help! Thanks for the input, Laura! Dressing different body types are the kinds of posts in that category of taking 100x more work to do that I’m trying to make room for. Thanks, CR. Great meta topic to discuss! Thank you, Mica! Hope you enjoyed the holidays and new year. Have a great weekend! I would love to see some posts on how to choose a specific accessory(mostly jewelry) for different occasions.I end up choosing all the wrong pieces. I would also love to see some modest vacation/resort outfit ideas. Love you and everything you do…your summer starter guide saved me when we moved to a very hot climate this year! I actually decided to unfollow several bloggers on Instagram for the new year (not you of course!) specifically because so much of their content is just trying to sell you the latest and I love that your site isn’t salesy…I appreciate that when you show something you show many different ways to style it. I have received so much value from you and your site! Thank you, Susan! So glad to hear that you liked the Summer Starter Kit. Also, thanks for continuing to follow along! I’m always trying to balance helping people utilize their wardrobes (and therefore not need to buy all the things) while also knowing a many people are trying to build/rebuild wardrobes and therefore need to buy things and need recs for good items. Really glad you are finding the content valuable! Thank you for the 2019 Inspirational update. It is interesting to hear your goals for PMT. I love the packing posts. They are so helpful! Actually, I also quite like the sponsored posts. They provide suggestions that I normally would not consider. You are always upfront and honest with your readers, and you earning a small commission for all of your hard work seems more than justifiable. Keep up the great work! 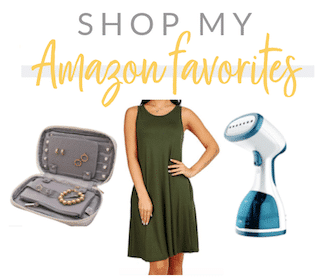 The most helpful post for me in 2018 was the Nordstrom sale. It helped me focus my order and I ended up with some great staples. Thank you for all of the work you put into that! I also like that you are honest and clear about item pros and cons in your reviews. I’ve made many purchases as a result of your posts (I’m wearing my new BP booties right now – love them!). 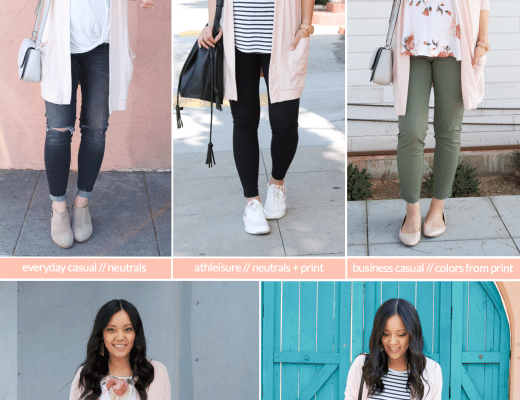 Hi Audrey, I love the how to style posts and every business casual post. Can’t wait for that starter guide! Happy New Year and God Bless. 1.How PMT has helped you thus far? The Challenges are #1. After that, any kind of style guide. I haven’t needed the Starter Kits, but imagine those are helpful as well. I LOVE LOVE LOVE your posts “4 ways to wear X”. I’ve worn items in my closet that I’ve either left previously unused or would have never thought to put together. Please keep creating these types of posts. Thank you! 1. Absolutely loved the starter kit for fall. I can’t wait for the one in winter. 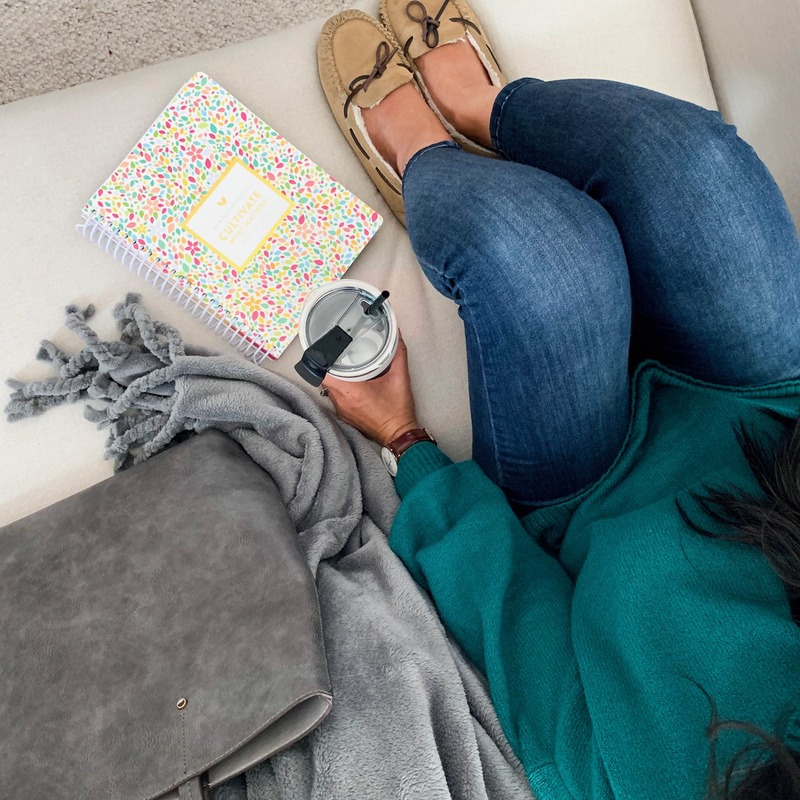 I am a summer gal and hate buying clothes for colder seasons – it gave me concrete steps to actually enjoy dressing for the winter and actually stay warm. 2. Could you make a business capsule series for people with more active jobs (i.e. I’m a physical therapist) but I bet it would be helpful for teachers and other people who aren’t able to wear dresses/cute skirts to work. Or types of pants that don’t ride down when you squat. Even not being a FB person I am getting a ton of mileage from the challenges. Well worth the investment!! I also wanted to thank you for your honesty about not being able to be all things to all people at all times. 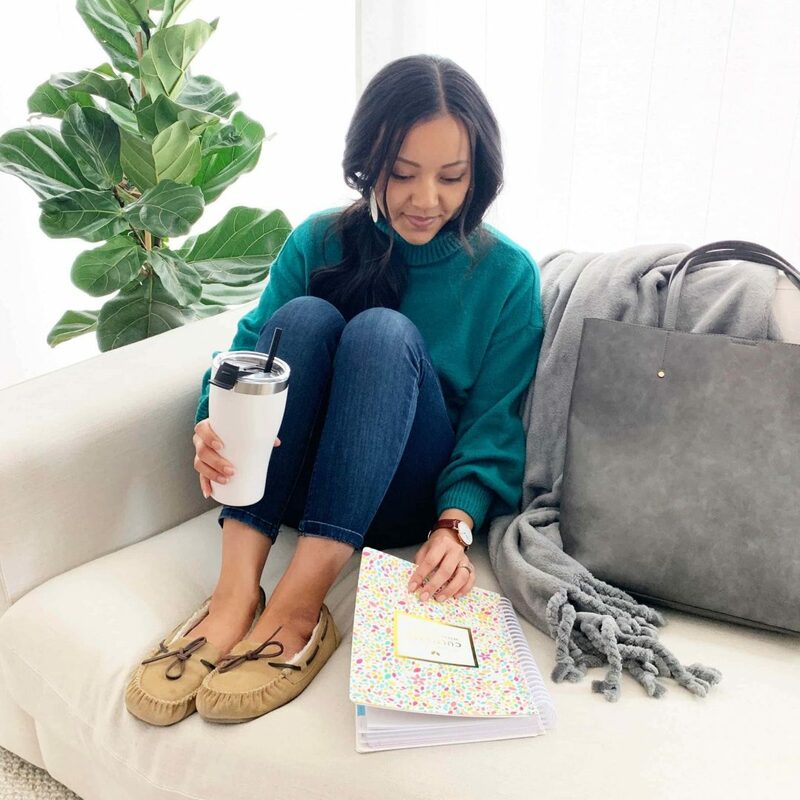 There is so much pressure on us to do just that and it is vital for women like you to be candid about what real, well-rounded success can look like and the struggles that go on behind the scenes to get to that place. While I come from a different religious background, I also wanted you to know that I admire your goal of rededicating time and space to your spiritual growth. I have been so surprised at how positively my life has been impacted by participating in a short study session each week with other parents while the kids are in religious class. Your goal reminds me that this time is an investment in myself and my family, and that I should continue to make space for it. There are many different ways to find spiritual nourishment and growth, but this often gets pushed far down on the list because there is a sense (and sometimes pressure from our traditions) that it has to look and sound a specific way. I appreciate you framing it in a way that reminds us that there are many ways to think about cultivating and accessing our spiritual selves. Good luck with your goals for this year. Your blog is my favorite!!! It’s the best balanced blog ever in terms of how to make outfits with the current wardrobe and what to buy. You inspired me to dress better even though I’m a stay at home mom. We share the same style and even the same size of clothing so it’s so easy for me to use your guidelines as a reference. You are doing a great job in offering options even for those like me that live in colder areas of USA (Portland, Oregon). Recently a friend of mine moved to San Diego and the first thing I told her is to follow you! God bless you and your family. You are the best! I love the goal of showing up! Super important in this day and age! I have always loved the posts with many ways to wear one piece (the 12 ways to wear a maroon cardigan is my go-to this winter), as well as the posts helping us elevate our style by making small changes such as with bookending, or wearing colourful shoes. Hope you keep them coming! But I have really really loved this particular post, especially the part with your personal goals and how you strive for progress not perfection – I found it very useful! I usually set out so many goals for myself that I end up being overwhelmed by them, then feeling frustrated and completely abandoning them, and finally feeling guilty that I have not completed everything that I have planned for myself to achieve. Even though it is not fashion related, I would love it if you write some more posts about how to cultivate what matters! I also loved the old packing lists! In general – I love materials that help me use what is already in my closet and mixing and matching those, without having to invest too much in new clothes. Audrey you’ve truly been a blessing to me. I found you about 6 years ago when I was a new mom feeling frumpy. I gained confidence in putting me together again and I love you for it! The 2 most helpful things have been the challenges and the remix posts. I love that I’m confident in packing where I don’t have to pack so much because I know how to remix pieces to make many outfits. That is CLUTCH for me. I still struggle with summer. Would love help with a decent summer wardrobe. This is a beautiful blog post and I love the words you focused on especially Cultivate. This will be a great year Cultivate my spiritual growth, career, and blog! I so enjoy everything about your blog! 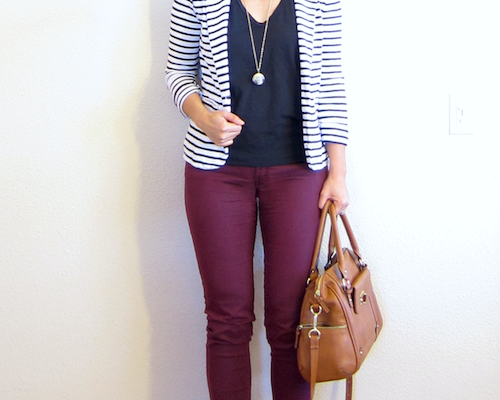 I love when you show one piece (like a maroon cardigan or olive jeans) styled several different ways. Those are my favorite posts! 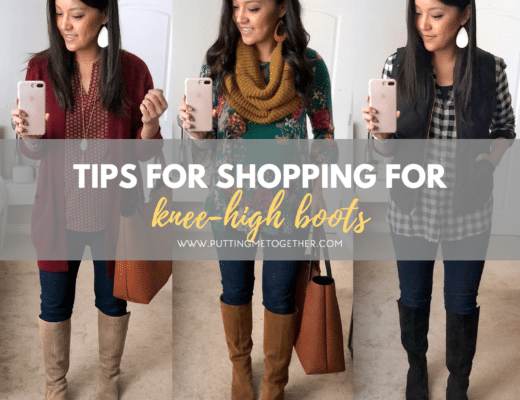 I also love – and need – the how-to posts (how to roll up sweater sleeves or how to pick an ankle boot) Seasonal challenges and capsule wardrobes are favorites too! My top question/need is about dress pants for work. Is there a place for them in a stylish wardrobe alongside all my colored denim? How can I style a “proper trouser” and still look a bit cool and not like my mom in polyester pants! Lol Or should I throw them all out? I would love a post, or better yet, a series on that!! Thanks for everything you do for your audience, and happy new year! Thank you so much, Kristin! Great questions about pants for work, and you’re definitely not the only one with that question. I think it depends on the cut and style, and it’s definitely a long answer that might need a series like you suggested, haha!